Just three weeks after becoming a father for the third time, young pharmacist Carl. F. Hanneman took the extraordinary step of writing to the attorney general of Wisconsin to ask that he be granted full licensure as a registered pharmacist. It was a heartfelt letter, written by a young man feeling the weight of responsibility of a wife and three children. Written by a well-educated and accomplished man who felt he deserved what he as asking. The very future was at stake. Carl explained that he was fully licensed as an assistant pharmacist, working at the Mauston Drug Store owned by Dr. J.S. 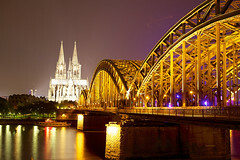 Hess Jr. But he was unable to officially manage the drug store due to a quirk in state law. If Carl had worked in a smaller town with under 500 population, he could have legally managed the pharmacy. But Mauston population was about 2,100. Carl would need to be a registered pharmacist in order to manage the Mauston Drug Store. Carl reasoned that if he was qualified to own and manage a pharmacy in a small town (such as neighboring Lyndon Station, pop. 236), why could he not serve the same capacity in Mauston? 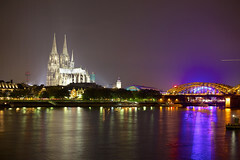 “I have often wondered as has many others, are not the lives of 500 people in a small town just as valuable to their loved ones as those living in a town where there might be more than this amount?” Carl wrote. 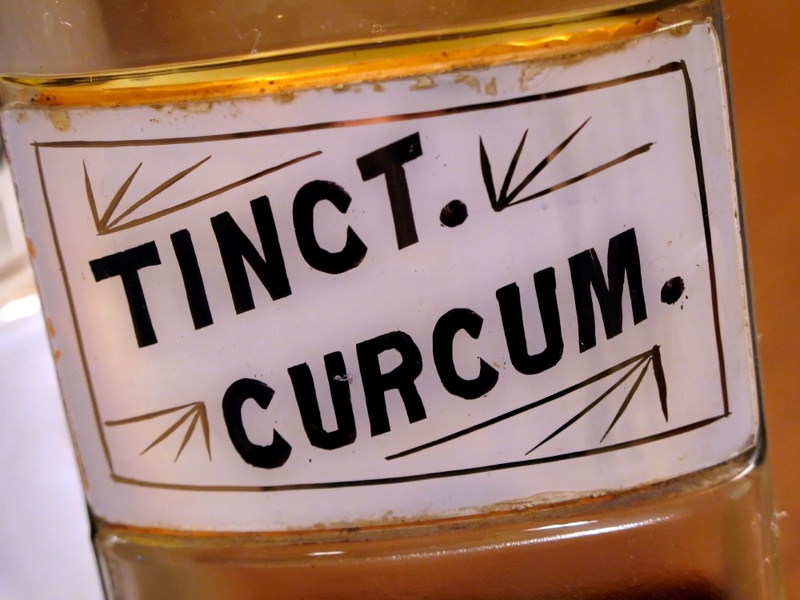 A label under glass from Carl F. Hanneman’s pharmacy collection. By 1937, Carl had 16 years of experience in pharmacology, starting as an apprentice in 1921 at the Sam Church drug store in Wisconsin Rapids. Carl graduated from the pharmacy program at Marquette University in 1925 and became licensed as an assistant pharmacist. He wasn’t eligible to take the full pharmacist exam at the time because his apprenticeship fell just short of the required five years. Over the next decade he worked at drug stores in Janesville, Fond du Lac and Wisconsin Rapids, and even worked a three-year stint as a salesman for Consolidated Water Power & Paper Co.
“I knew my lifework was with the drug store as I truly love it and was very fortunate in securing a position with the Dr. Hess Hospital, Clinic and Drug Store organization on Feb. 1, 1936,” Carl wrote. Carl said he would likely need three more years of study to pass the registered pharmacist board exams as they existed in 1937. With three children (including baby Lavonne born in August 1937), Carl figured that simply would not be possible. 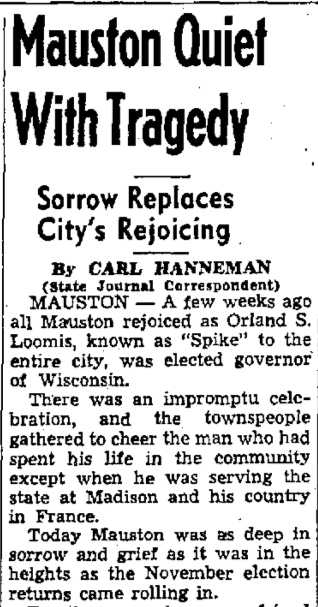 So he asked for help from Loomis, a Mauston native who served as city attorney from 1922 to 1931. 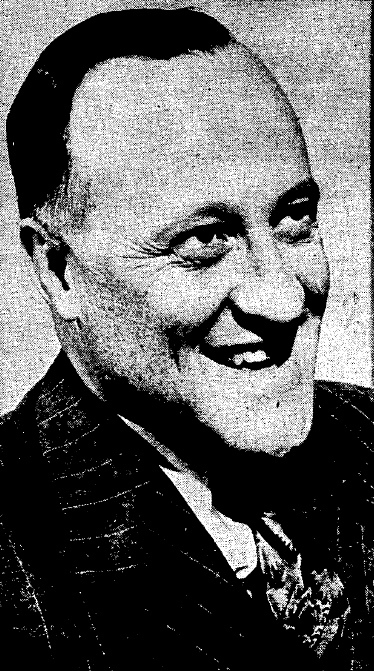 Loomis was attorney general through 1938, and was elected governor of Wisconsin in 1942. He died before taking office. Eventually, Carl became good friends with Loomis and photographed him for the Wisconsin State Journal on the 1942 night of his election as governor of Wisconsin. Carl F. Hanneman’s registered pharmacist license, issued in July 1944. We don’t know if Loomis ever intervened on Carl’s behalf in his role as attorney general or governor-elect, or how he responded to the 1937 letter. A search of Loomis’ law-practice records at the Wisconsin Historical Society yielded no clues. Carl’s 1941 license from the Wisconsin State Board of Pharmacy still lists him as an assistant pharmacist. 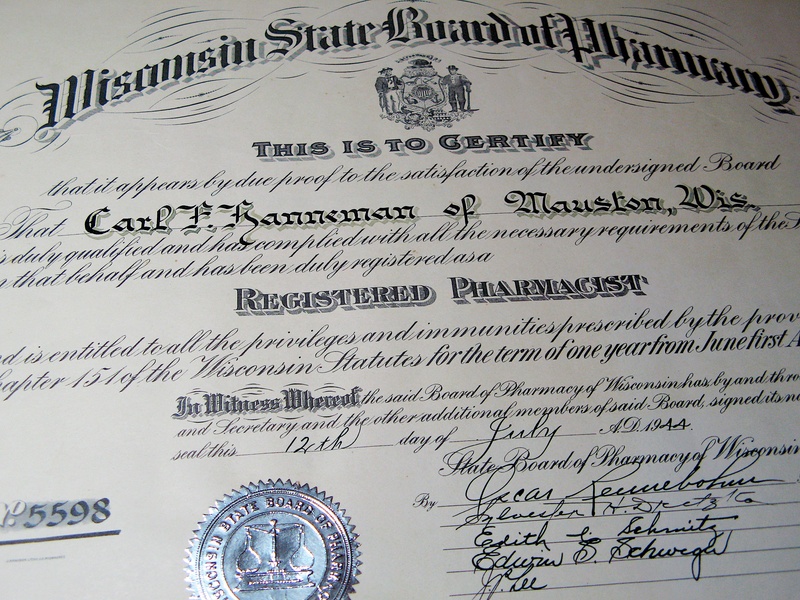 On July 12, 1944, the state of Wisconsin issued an ornate document certifying Carl as a full registered pharmacist. He worked under the new license number until his death in 1982. It would appear Carl secured his added credentials the hard way: he earned them. People often talk about getting 15 minutes of fame. For the late Carl F. Hanneman, it was closer to 15 seconds in a new Wisconsin Public Television documentary on Juneau County, Wisconsin. Carl F. Hanneman filed this story with the Wisconsin State Journal on December 8, 1942. The hourlong documentary, produced as part of Wisconsin Public Television’s Wisconsin Hometown Stories series, includes a section on the death of Governor-elect Orland S. Loomis of Mauston. 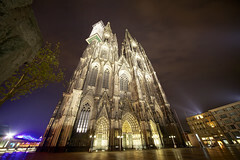 Loomis died on December 7, 1942 after suffering a series of heart attacks. He was to be sworn into office in January 1943. As a local correspondent for the Wisconsin State Journal, Hanneman filed a story on December 8 detailing Mauston’s grief at the loss of their hometown hero. 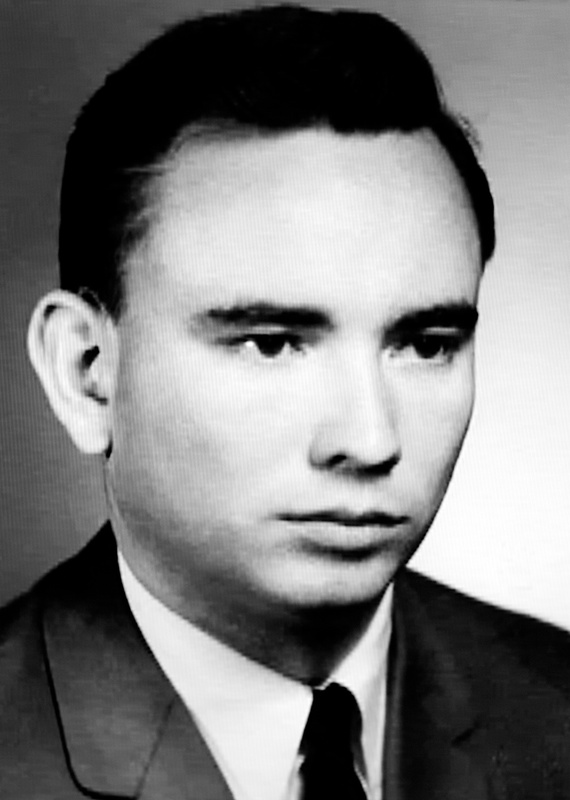 His news clipping was used as a graphic during the Loomis portion of the documentary. Carl’s ties to Loomis went beyond the 1942 political obituary. On election night, November 3, 1942, he was one of the only photographers at Loomis’ home as the election results came in and Loomis was declared the winner over Gov. Julius P. Heil. Carl’s news photo ran above the fold on Page 1 of the State Journal on November 4, 1942. 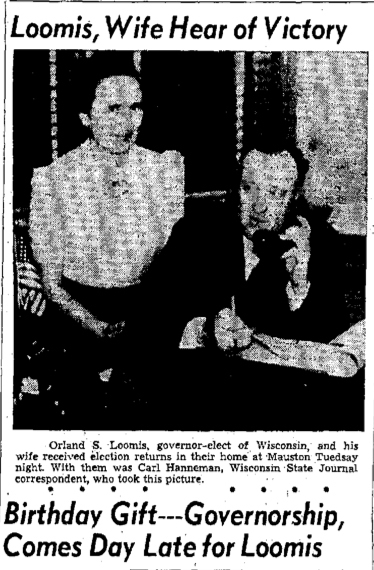 Hanneman’s election-night photo taken at Loomis’ home in Mauston ran on Page 1 of the Wisconsin State Journal. Hanneman (1901-1982) had known Loomis since about 1936, when Carl came to Mauston from Wisconsin Rapids to be a pharmacist for Dr. J. Samuel Hess Jr. He sought Loomis’ help in 1937 in obtaining his full licensure as a registered pharmacist (an upgrade from his existing license as an assistant pharmacist). At the time, Loomis was Wisconsin’s attorney general. Hanneman also worked to help elect Loomis as attorney general and governor. In recognition of his efforts, Loomis gave Hanneman a large pastel painting that once hung in his office at the state Capitol in Madison. 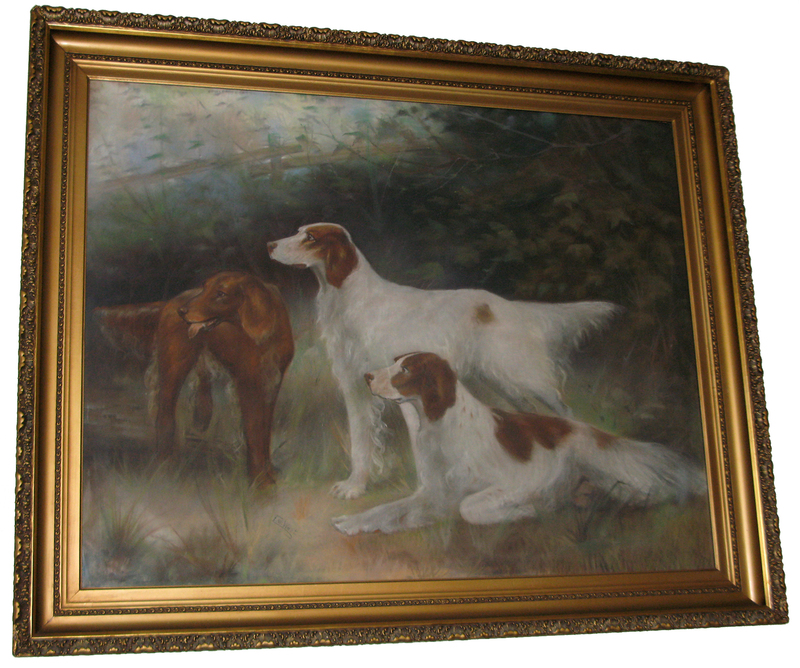 The large-format pastel, weighing some 100 pounds in its hand-carved ornate frame, hung in the Hanneman home in Mauston and later in the home of Sun Prairie Mayor David D. Hanneman, Carl’s son. Orland S. Loomis gave this painting to Carl F. Hanneman for his help on the gubernatorial election in 1942. It still hangs in the home of the late David D. Hanneman. The fascinating Wisconsin Hometown Stories documentary, which first aired in April 2014 and is now available on DVD, covers much more than Loomis and his political career. It traces Juneau County’s history from its early days, when towns like Mauston sprung up around grist mills on the Lemonweir River. It details the county’s cranberry farms, the massive Necedah Wildlife Refuge, the heritage of the Winnebago (Ho-Chunk) Indians, creation of the huge manmade Petenwell Lake, and development of National Guard bases including Camp Williams and Volk Field. Carl F. Hanneman befriended a young Tommy Thompson in 1966 when Thompson first ran for state office. A prominent section of the documentary focuses on former Wisconsin Governor Tommy G. Thompson of Elroy. Thompson takes viewers on a tour of southern Juneau County where he grew up, including an old gas and grocery run by his father. Thompson served as Wisconsin’s 42nd governor from 1987 to 2001. When he first ran for Wisconsin State Assembly in 1966, Thompson stopped in Mauston and met a pharmacist named Carl Hanneman. Carl was so impressed with the young lawyer from Elroy that he closed up shop for the afternoon and took Thompson all over Mauston, introducing him to other businessmen. From that day on, Hanneman always referred to him as “my friend Tommy Thompson.” It was a kindness Thompson never forgot. Somehow the story of Carl’s early politicking for Thompson got left out of the Wisconsin Public Television documentary. Well, there’s only so much you can fit into an hour of television. 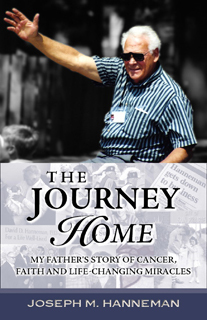 –The DVD version of the documentary can be purchased for $16.95 from Wisconsin Public Television. 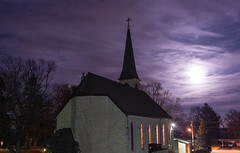 Wisconsin Hometown Stories is a joint project of WPT and the Wisconsin Historical Society. – Read Hanneman’s 1942 Wisconsin State Journal article.